Often, in recent years, it is the last minute permanent signings or loan signings that have had a positive impact on Sheffield Derby matches. My favourite Derby Day debutant and probably the one that most Blades fans will remember fondly is Bobby Davison - 2 goals in a 3-1 win at Hillsborough in 1992. With the Blades' recent run of form, there will be high hopes that the two new loan signings from Blackpool will have a positive impact. Certainly to my mind the signing of Matt Phillips is just what the Blades need wide and anything different up front will pep up the front line. I thought it would be worth asking top Blackpool blogger Chris Walker (@onedavebamber) editor of http://upthepool.blogspot.com for his thoughts. It's not long since Daniel Bogdanovic swapped Bramall Lane for Bloomfield Road, and having scored his first two goals in Blackpool's last outing (a 5-0 win over Bristol City) the Seasiders have seen fit to send a couple of players in the other direction. Joining Sheffield United on loan for an initial 28 day period, Matt Phillips and Billy Clarke will be hoping to get their season back on track having found themselves left out of 'Pool's matchday squad in recent weeks. Given the size of Blackpool's squad - Ian Holloway could technically field three separate teams and squad numbers in the high 30s have already been taken - it's not surprising that the club are looking to loan out some players, especially with 'Pool pulling out of the reserve league this season. However, in some ways it is surprising that Phillips and Clarke are players Holloway has been happy to part with, albeit temporarily. Clarke has featured in seven of Blackpool's first 10 league games this season, starting four of those - hardly an insignificant contribution. Big things had been expected of Clarke this season after two injury-ravaged years at the club, including missing the entirety of the Seasiders' Premier League adventure. An impressive pre-season led many onlookers to think Clarke would begin the season as part of Holloway's starting XI, although the manager instead gave the nod to veteran Brett Ormerod. An injury to Elliot Grandin after three games allowed Clarke to finally break into the team, but he was unable to replicate his pre-season form, disappointing those who had been clamouring for his inclusion, myself included. Clarke started four games, but indifferent performances and a nervousness in front of goal saw the former Ireland U21 international left out of the last three matchday squads. The start to the season has been even more frustrating for Matt Phillips. Part of the England U20 squad that competed in the World Cup in Colombia this summer, Phillips was set to be one of the big players of that team, with many managers refusing permission for their players to travel to South America. Ian Holloway stressed the importance of allowing Phillips the chance to represent his country, despite the tournament overlapping with the start of the league campaign. Sadly, England's World Cup was hardly vintage - three 0-0 draws in the group stage somehow took them through to the next round, but a 1-0 defeat to Nigeria saw them return home without a goal to their name. Missing several key players and up against technically superior opposition, England's approach was negative in the extreme and seems to have damaged the attacking flair for which Matt Phillips had begun to build a reputation. An exciting young prospect who in spells dazzled the Premier League last season, 'Pool fans were eagerly awaiting the return of Phillips, but he has failed to make an impact in his six outings this term and has looked devoid of confidence. All of this rather paints a grim picture for Blades supporters hoping the loan acquisition of these two players can halt United's mini-slump, but the raw ability these two players possess, Phillips in particular, should hopefully shine through at lower level. 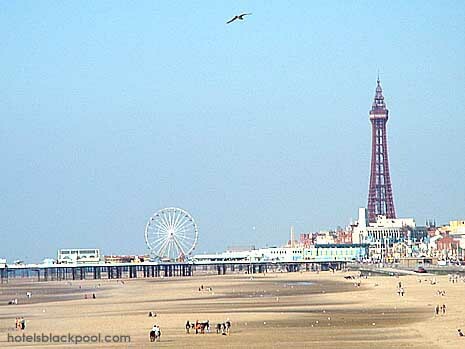 What then, can Blades fans expect from the two Blackpool loanees if they can perform somewhere near their best? Of the two, it's probably Phillips who is best equipped to be thrown straight in to the derby game this weekend, with Phillips playing in some of Blackpool's biggest games last season, being involved in the trips to Anfield and both Manchester clubs. It was in the game at the Etihad Stadium where Phillips turned in possibly his best 'Pool performance to date - on as a second half substitute Phillips tormented left-back Aleksandar Kolarov with an electric display which forced Roberto Mancini to replace him with the quicker Pablo Zabaleta. An out-and-out right winger (although Holloway did briefly try converting Phillips to a right-back), Matt Phillips is best when running at his marker from deep before putting in a cross. 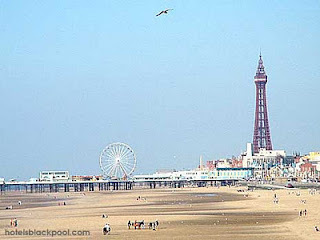 What Phillips isn't, however, is a prolific goalscorer, with just a solitary goal in his time at Blackpool, scored on his debut against Blackburn Rovers. Billy Clarke is something more of an unknown quantity, even to 'Pool fans. The aforementioned injuries have resulted in Clarke making just 28 appearances, despite the fact Clarke is in his third season with Blackpool. In that time, Clarke too has scored just the one league goal, albeit a memorable one in front of the Sky cameras in a derby game against Preston. Before joining Blackpool though, Clarke had impressed on three separate loan spells from his then parent club Ipswich. While on loan at Darlington, Northampton and Brentford, Clarke was a regular on the scoresheet, and dropping down a division may see him rediscover his scoring touch. A fairly pacy striker, on his day the left-footer can prove a real handful and should excel in a division featuring far slower defenders. What Clarke really needs is a goal to get his season started, and if he's able to get that early on in his loan spell, I see no reason why Clarke can't kick on from there and rack up a few. While the loan deal begins as a one month agreement, certain circumstances may mean that could be extended up to the beginning of January. If Blackpool continue to be in and around the top six places over the coming months, then Ian Holloway may be happy to leave Phillips and Clarke at Bramall Lane for three months, although if either of the pair do exceptionally well a recall option may well be activated after the first 28 days. Personally I believe it's unlikely both will see out three months in Sheffield - Matt Phillips the more likely player to be called back if he excels. 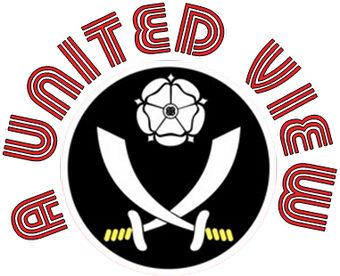 Blackpool fans will certainly have one eye on the Blades and would be nothing less than delighted if Phillips and Clarke could contribute to a Blades victory in one particular game - the trip to Deepdale to take on 'Pool's local rivals Preston in midweek.